Captain Joe Hughes of Jersey Cape Guide Service is out fishing this morning and the fish have started biting in the bay. 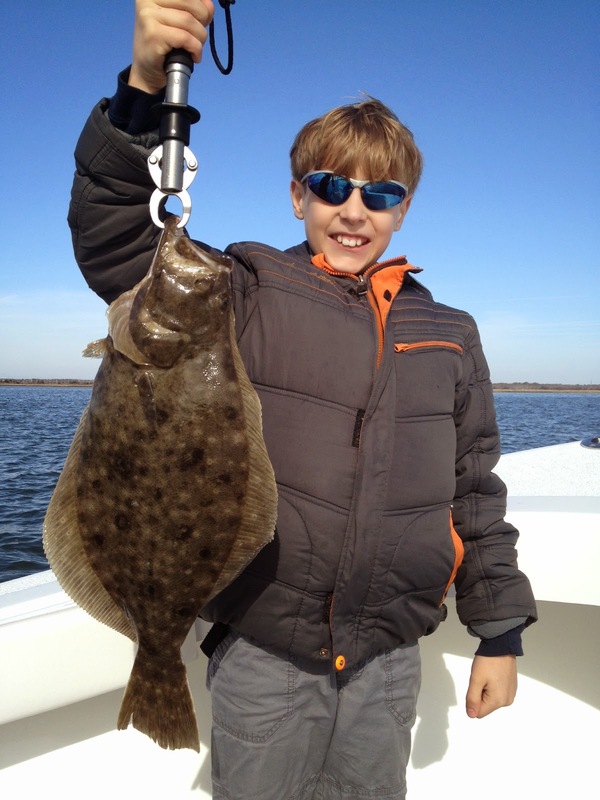 The good news is something is starting to bite… The bad news is the great state of New Jersey will not let us keep these flounder for another 41 days…… The main spring run of flounder in the bay in south jersey be gins in early April till the end of May so basically we will be unable to fish the best times Thanks NJ. 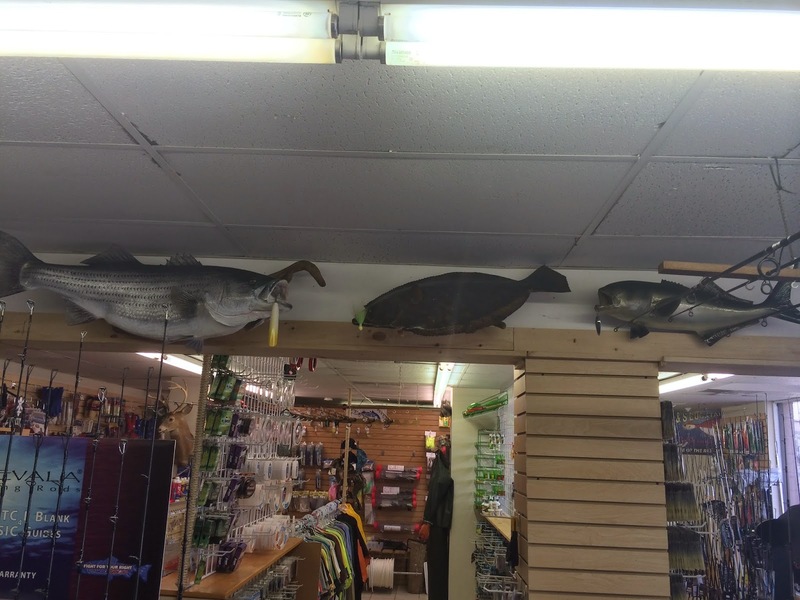 Check out the newest addition to the store. It’s a big blue shark mount its bet up and has a couple of crack and ships but all that just adds character. Also I’m almost dun getting the south Jersey grand slam dun in mounts only missing a weakfish so if you have a weaki mount you want to get rid of or know some one that has one let me know. 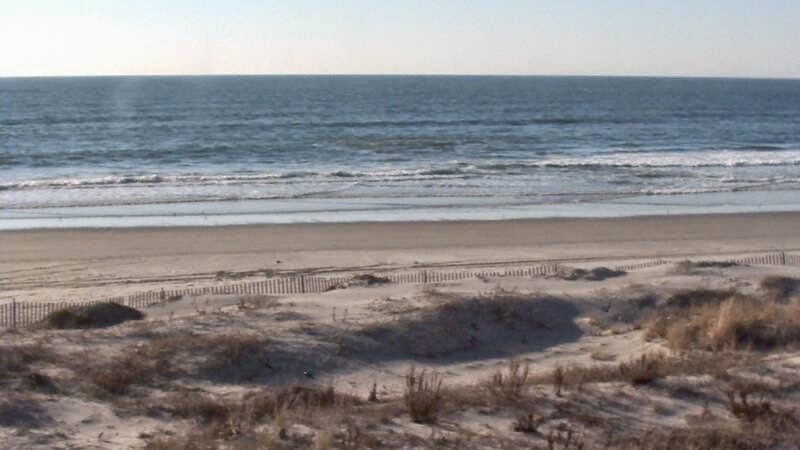 Hear is a live picture of the beach hear in Sea Isle. The weather for this weekend looks good possible shower on Friday High of 62 winds SW 15-20 Saturday High 58 winds N 5-10 and Sunday high 62 winds S 15-20. Not looking to bad we will have green crabs, clams in the shell, blood worms, night crawlers and all the standard frozen bait.